WAXAHACHIE—After more than 15 years of hard work spent on the field, Cesar España accomplished his life goal of being signed as a professional soccer player. 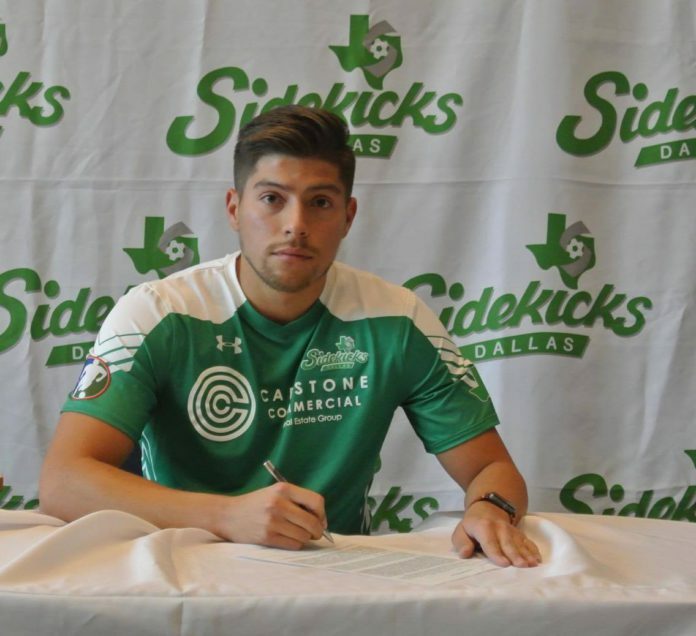 España, Southwestern Assemblies of God University (SAGU) Assistant Men’s Soccer Coach, signed on as a goalkeeper with the Dallas Sidekicks in December of 2016. However, España still believes he has a long way to go to prove himself as a professional indoor soccer player and earn playing time. España grew up playing traditional outdoor soccer in El Salvador before moving to the United States at 16 years old. He also played for the El Salvador national team before transitioning to life in the United States. España would once again have the opportunity to play for El Salvador’s national team in 2015 during the World Minifootball Federation (WMF) Arena Soccer World Cup. This was the first time that he had ever played indoor arena soccer. One of the main differences between indoor and outdoor soccer is that there is no out-of-bounds in indoor soccer which results in faster play with significantly less stoppage time. The off-sides rule is also non-existent in indoor soccer. España practices with the team daily from about 9:30 p.m. to midnight. After practice and an hour and a half drive back home, España gets up first thing in the morning to work for the Academic Services department at SAGU. Cesar and fiancee Natalie Pena during a recent night practice. 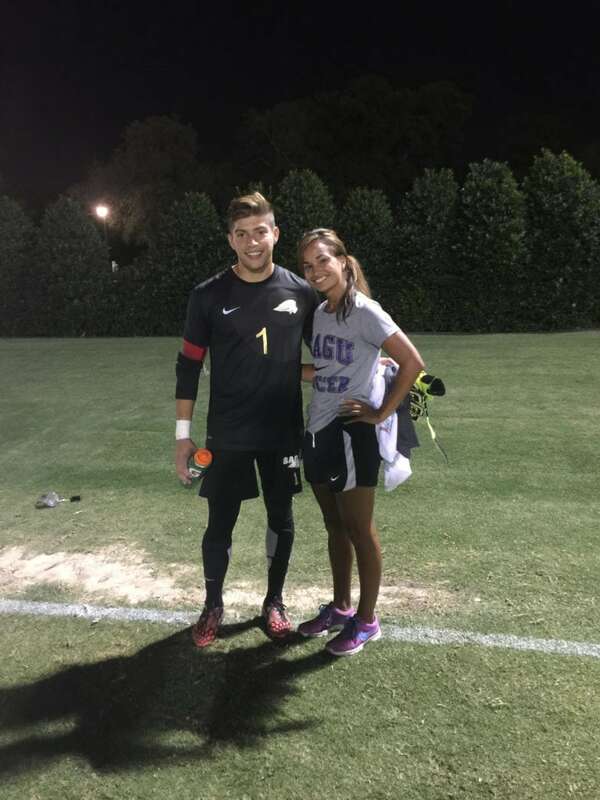 Along with working full-time and his responsibilities as a professional player, España is also working toward his MBA degree and is engaged to Natalie Pena, an online admissions counselor at SAGU. For España, the process leading up to his signing all started in September of last year. Through his close friend, Ramon Cardenas, España was able to meet the coaching staff for the Sidekicks. Paul Hason, SAGU Women’s Soccer Head Coach and former Sidekick, was also able to help develop a connection for España. In addition, España believes that Clementin Oancea, SAGU’s Head Coach for Men’s Soccer, has played a significant role in his success as an athlete. After the completion of SAGU’s soccer season, España was able to commit more time practicing with the Sidekicks. Pena said that at the time, it was difficult for España to drive an hour and half one way to practice with the Sidekicks every day. Meanwhile, España could only hope that the time spent away from fiancé would lead to an opportunity to play professionally.